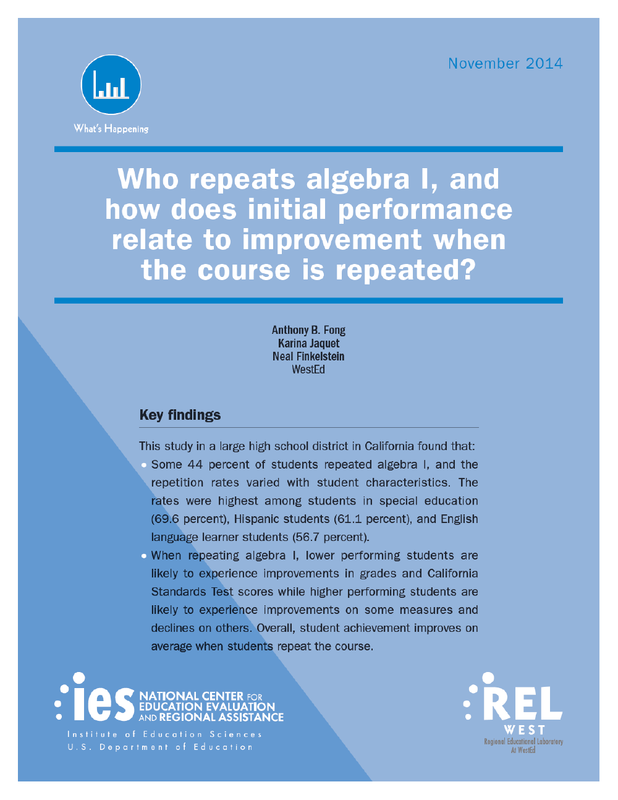 This Regional Educational Laboratory West (REL West) study explores the prevalence of students repeating Algebra I, who is most likely to repeat the course, and the level of improvement for students who repeat. REL West researchers conducted the study based on six years of data from a cohort of 3,400 seventh grade students in a California school district. Overall, these findings show that lower-performing students are likely to experience improvements in grades and CST scores when they repeat Algebra I. Higher-performing students are likely to experience improvements on some measures of performance and declines on other measures when they repeat the course. 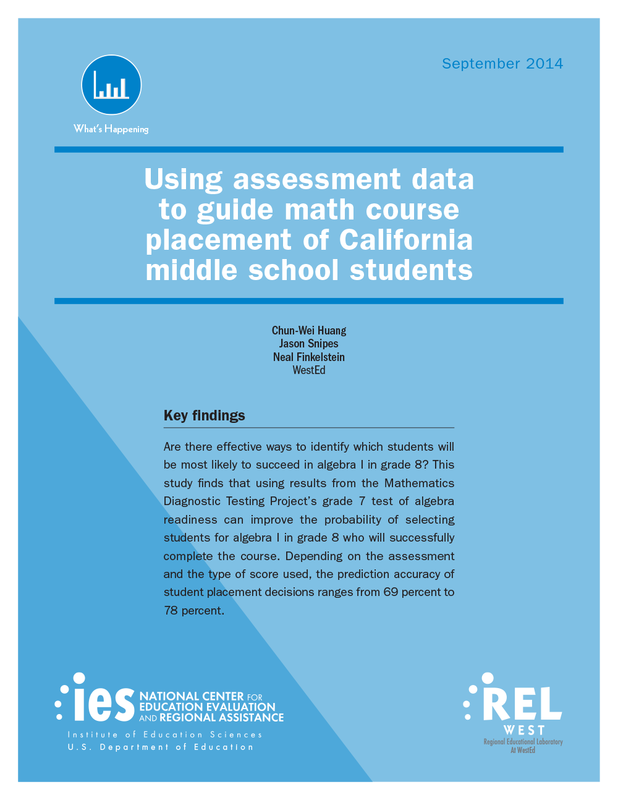 These findings can help educators examine the course options available to students of different achievement levels and the processes by which students are placed in math courses. 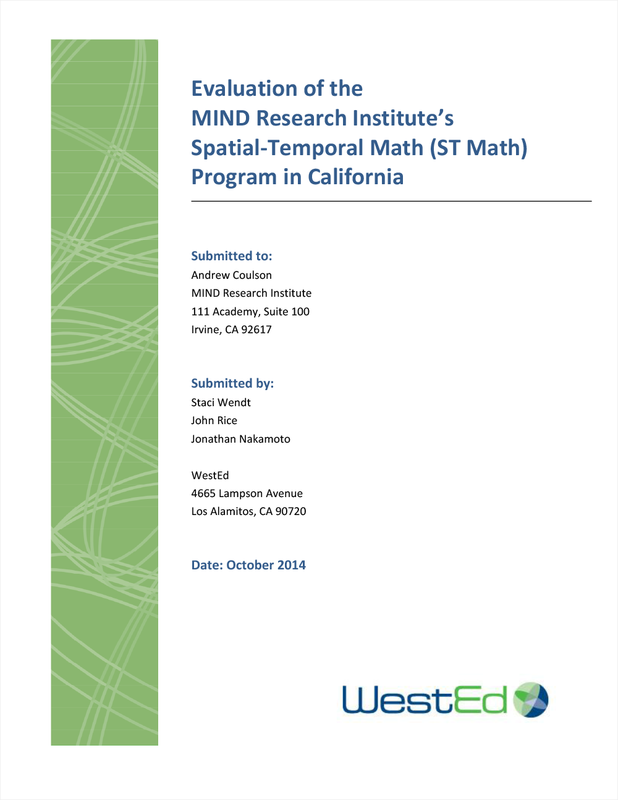 This report presents the results of an independent evaluation of 209 second through fifth graders using Spatial-Temporal (ST) Math game-based instructional software at 129 California schools.